This week we received a cheque for £2,000 from the lovely people at the Rotary Club of Lincoln Colonia. 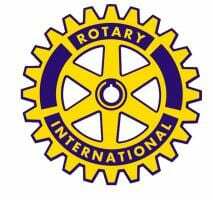 Linkage is just one of a number of charities who are benefitting from the 2017 Lincoln Santa Fun Run and Walk and with so many worthy and important charities out there we are incredibly grateful to the Rotary Club for their continued support. Rotary Club of Lincoln Colonia is a group of 40 individuals who give their time and talents to serve the local community. The 2017 Lincoln Santa Fun Run was the 12th year the club had organised the event, with the money raised from ticket sales and general donations going towards helping thousands of adults and children across Lincolnshire who are in desperate need of funding. 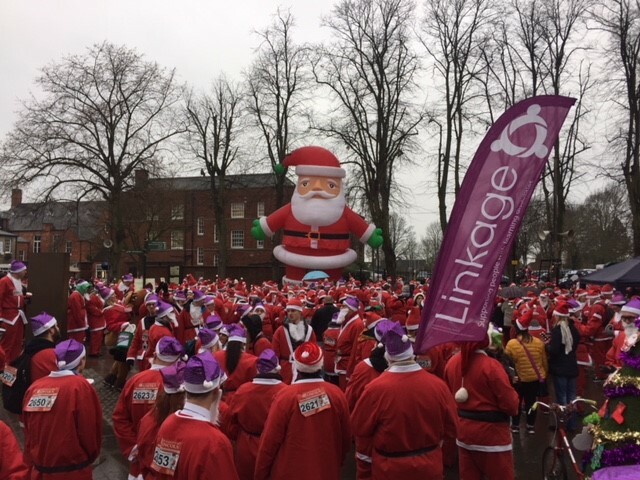 Around 2500 Santas – about 150 of which ran for Team Linkage – braved unfavourable weather conditions to complete two laps around the castle square and the streets of uphill Lincoln. There seemed to be more Santas than ever though, and the drizzle and cold temperatures didn’t dampen the enthusiasm of the participants. This in itself is a huge testament to the hard work and passion of the members of the Rotary Club of Lincoln Colonia (along with their friends and families) who volunteer for all the jobs that go on behind the scenes to make the event such a success. Support from organisations like Rotary is absolutely vital to helping us achieve our vision that people with learning difficulties and disabilities have opportunity and choice and are supported to achieve their aspirations. This generous donation will go towards our person-centred services that enable individuals to develop the skills and behaviours to live independent lives. DON’T MISS OUT: The date for the 2018 Lincoln Santa Fun Run and Walk is Sunday 16th December. Registration is open soon so keep an eye out on this website or social media for more information on how you join Team Linkage and get involved.